It should be a convention of the automotive world that Ferraris be painted red. 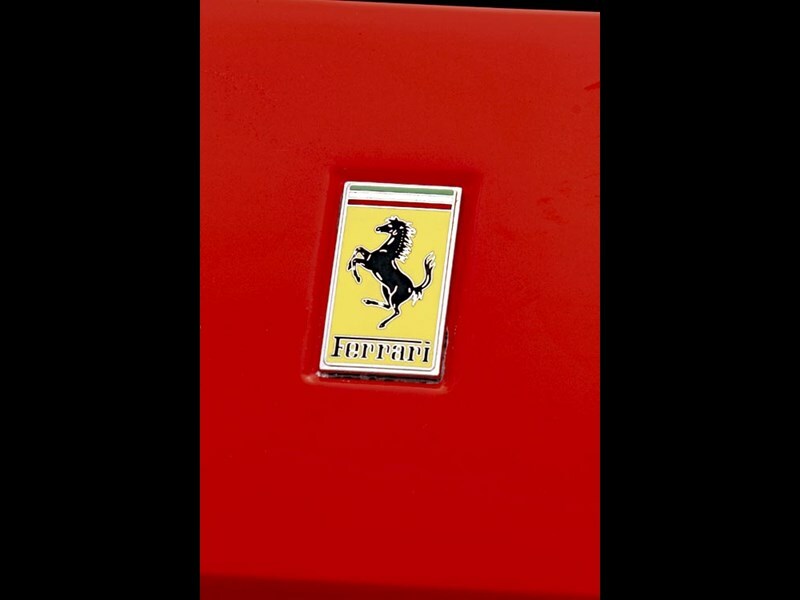 Over the years they have been produced in other colours, but none offer the instantaneous recognition of one finished in gleaming Rosso Corsa. In the opinion of Con Hrystamthos, sales manager at Ferrari specialist Galleria Veloce, which supplied our featured (red) 328GTS, the pigmentation of the paint counts for plenty in the world of Ferrari aspiration. "Red Ferraris - especially the older ones - are definitely the most popular," confirmed Con from his showroom in the elegant harbour-side locale of Sydney's Rose Bay. "Around 80 per cent of buyers for pre-355 models and half of those looking for a late model would prefer a red car. It is the colour that has represented Ferrari in motor sport for many years and instantly identifiable by almost anyone." But the telltale approach of a Ferrari is not defined by paintwork alone. Even before its unmistakable shape becomes visible through the clutter of city traffic comes that stuttering, whining 'I really don't need to be doing this' audio that swivels heads and has drivers of lesser machinery staring enviously at their rear-view mirrors. 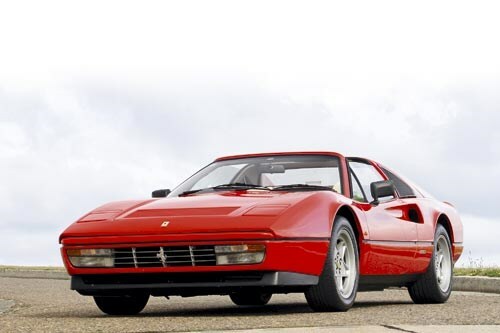 The 328 is widely regarded as the last classic Ferrari V8. Its definitive profile dates back to 1975, when the Pininfarina styling house sought to redress the disappointment generated by Bertone's ungainly GT4 Dino - the first mid-engined, V8-powered road-going Ferrari. Backing away from the GT4's bulbous 2+2 format, PF reverted to a shorter 2337mm wheelbase, and dressed it in an elongated and elegant fibreglass body. Shock, horror, howled the purists - a Ferrari with the body of a kit car? In plasti-body format, the 308GT survived for less than two years before being replaced in 1977 by a 'proper' steel-bodied version. 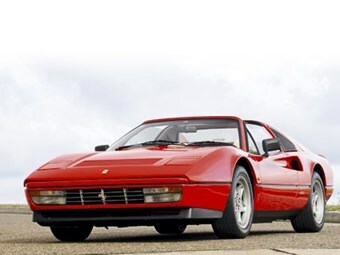 Four years later came the fuel-injected 308GTSi and in 1985 the 3.2-litre 328GTS. 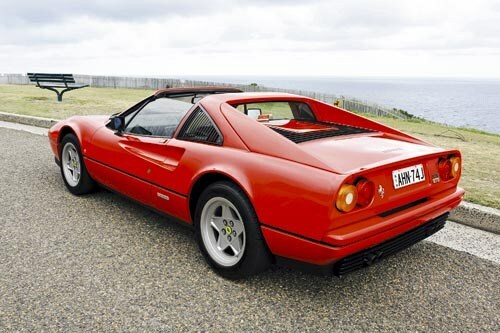 Australia's earliest 328s arrived in 1986 and were priced at around $140,000, which was marginally less than a Lotus Esprit S4 Turbo but $20,000 more than the less-powerful 3.2-litre Porsche Carrera. Output from the ULP compatible, quad-cam, fuel-injected V8 was 198kW and developed at around 7000rpm. 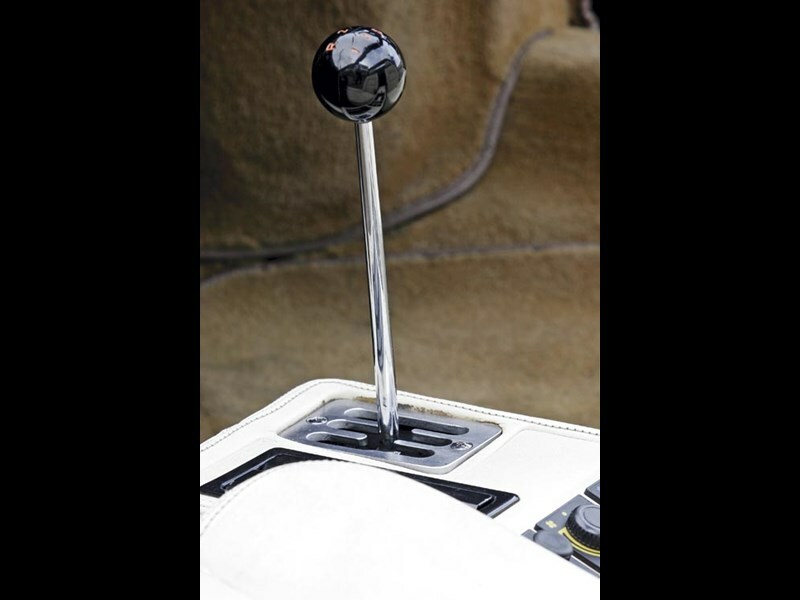 Five-speed transmission was mandatory and Australian-delivered cars came standard with air-conditioning. 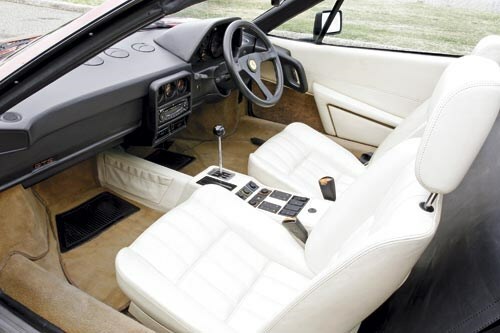 Offshore markets had the option of a fixed-roof 328GTB but Australians were offered the car only in GTS form with a removable roof section. Distinguishing the 328 from earlier versions was a new grille, large cooling slots in the luggage compartment cover and new, five-spoke alloy wheels. Cars built after 1988 are rare in Australia and feature Bilstein suspension struts in place of the earlier models' Konis and revised footwells for improved occupant comfort. Some years ago, a jeans manufacturer ran an advertising campaign with the tagline 'Do You Fit The Legend? ', with the apparent purpose of suggesting to denim-wearing blokes that unless they were built roughly in the physical mould of Clint Eastwood that they might as well shop elsewhere. 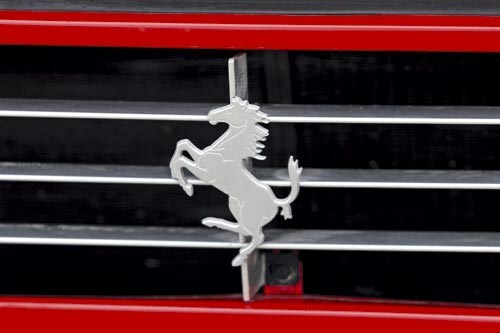 Ferrari for almost 60 years has followed a similar philosophy; building cars just the way it wants them and challenging those who can't come to grips with the accommodation or uncompromising design to buy something else. A decent pre-purchase test drive is therefore essential to confirm that this $100,000-plus investment won't spend the vast majority of its existence confined to your garage. Providing you can live with the odd seat/steering wheel/pedal relationship, air-conditioning that struggles to disperse cabin heat on extreme summer days, the gearchange gate that looks like it was lifted from a 1950s Albion bus, cantankerous electrics and the possibility that your parked Ferrari might be used as a trampoline by the jealous, the benefits of owning a Maranello Masterpiece are boundless. First there is the sound - the grumbling swelling to a bellow once the Bosch K-Jetronic injection is permitted to deliver at maximum capacity, heavy but ultra-communicative steering, immaculate roadholding and magnificent brakes. A discreet, black front spoiler that was optional on preceding models was made standard on the 328 and reportedly delivers a noticeable improvement to high-speed stability. Performance figures recorded in overseas testing confirm this model as among the most potent supercars of its era and engine capacity. Acceleration from 0-100km/h recorded by a Super-fuelled 328 was 6.2sec, with 0-160km/h taking fewer than 15sec and a top speed of 255km/h. "These are a very good choice for first-time Ferrari owners," says Rudolf Masi of Piccola Scuderia in the Sydney suburb of Newtown. Masi's background in Ferrari service and restoration dates back more than 20 years and he is a particular fan of the 328GTS. "The engineering is very good and most of them have been well maintained," he said. "Probably their biggest problem is that many owners have them as a toy and they suffer due to being under-used." 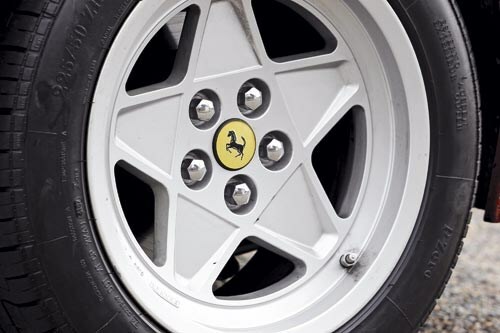 Masi's comments on Ferrari models' well-publicised appetite for clutch components make compelling reading for potential owners. "Because the engine sounds so good, a lot of people will take off with far too many revs and this kind of treatment can destroy a clutch in less than 10,000km," he warned. "The V8 has plenty of torque and if you use that to get the car rolling and then apply the power, clutch life can easily be extended to 50,000km or more." Premium unleaded fuel is a requirement, with 98 octane recommended for cars that will be driven to their limits during track days that are popular with Ferrari owners. 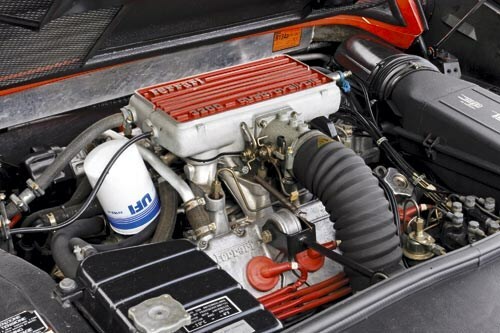 Economy is an issue that rarely troubles Ferrari drivers, however it's handy to know that a well-maintained 328GTS is likely to return around 15L/100km in open road touring. If you fit Con Hrystamthos' profile of today's Ferrari buyer, that Matchbox model from decades gone was probably the genesis of a long-held ambition. "People who buy these types of cars are often fulfilling a childhood dream," Hrystamthos said. "Many aren't particularly wealthy but they are successful and have got to a point in their lives where having a Ferrari becomes viable. The 328 is popular because it's relatively affordable and has the classic style that many people prefer." 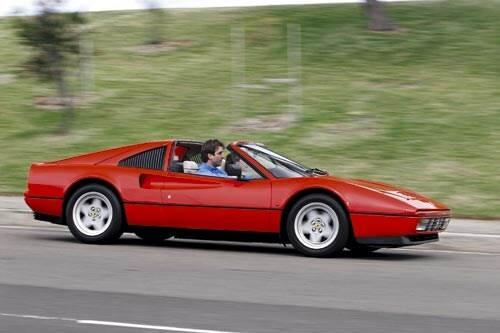 There is just absolutely no sense in buying a cheap 328GTS - assuming one fitting the description might be available. Personal imports from Britain or other places with harsh climates are worth avoiding, due to their potential for rust. As always with cars of this age and complexity, a pre-purchase inspection by a specialist in the brand is essential. Most problems with Ferraris of this age relate more to neglect and abuse than inherent flaws. Minor knocks to the vulnerable bumpers are common so check for quickie repairs. Low-set driving lights are very susceptible to damage and need close inspection. The lift-out roof should fit securely with no wind whistle or signs of water entry. Rust is rarely a problem with locally delivered cars but check the sills, inside the wheel-arch lips and window surrounds for bubbling. 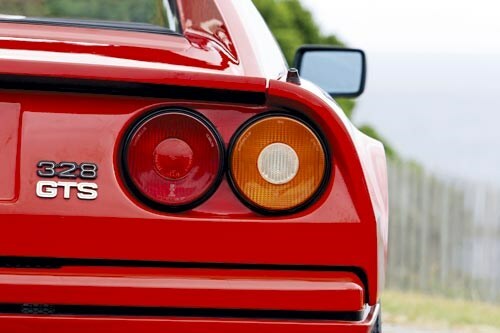 Maintaining a 328GTS is relatively straightforward and not the cash-sapping exercise you might expect. The exception, according to Rudolf Masi, is the major 40,000km service that includes replacement camshaft belts and can cost $4000. Replacing the clutch - which at best is likely to survive for 70,000km - costs around $1800 including labour. Infrequent use creates a range of problems including leaks from the water pump seal and loss of air-conditioning refrigerant due to seal failure. Driving your Ferrari every third Pancake Day also exacts a toll on chassis components. Shock absorbers go off even when the car is sitting still - later Bilstein suspensions are a little less susceptible than the more common Koni. Brake wear isn't a particular problem but noisy rotors, and an unyielding or soggy pedal, demand immediate attention. Replacements for kerb-damaged wheels are available. Noisy, slow and shuddering power windows, inefficient air-conditioning and door locks that don't aren't insurmountable problems but can be expensive to rectify and may indicate a car to avoid. Make sure as well that the concealed headlamps appear and retract within a couple of seconds. The leather plus plastic interior trim is of good quality and some components such as door handles are actually Fiat parts. A Ferrari with dash cracks from sun exposure and seriously crazed leather would need to be very keenly priced.